Ok guys here is the official AO AEG picture thread. 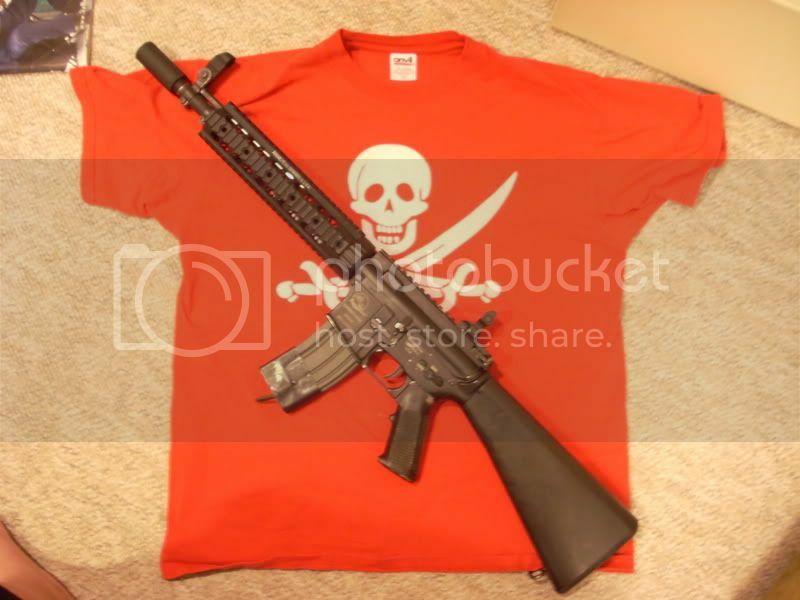 Now you can post pics of your pimped out uber DMR Support canon of doom. This is my TM MP5 RAS that I replaced the RIS grip with a standard plastic fore grip other than that completely stock but will be all metal soon. Last edited by Texx; 04-29-2008 at 05:11 PM. Last edited by <Maverick>; 04-29-2008 at 07:43 PM. Last edited by Black_Bird; 04-29-2008 at 05:53 PM. 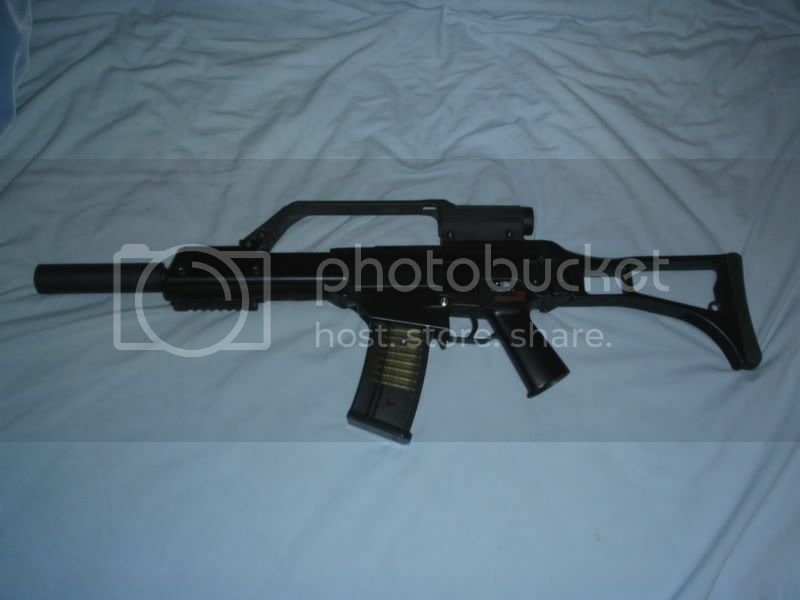 Classic Army M4 project gun. This has got a bright future, right now its in "bleh" form. I don't really feel like listing what all I'm going to buy for it, which is probably going to make my wallet cringe, so if you really wanna know you can PM me. Last edited by vbtb110; 04-29-2008 at 06:00 PM. 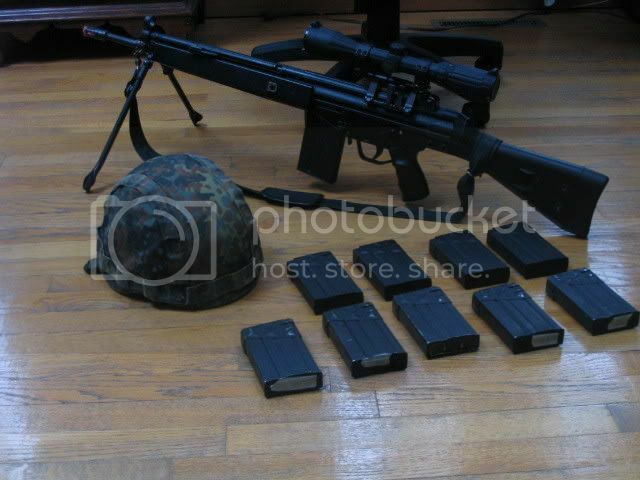 My old AUG. Kitted, painted and scoped. "There will be an Event, It will Ownz and help in the mass production of Lawls. Please calm down." Bnagley. "Operation: Stealing Freedom 2 Big Problem." Airsoft Ohio. 2008. 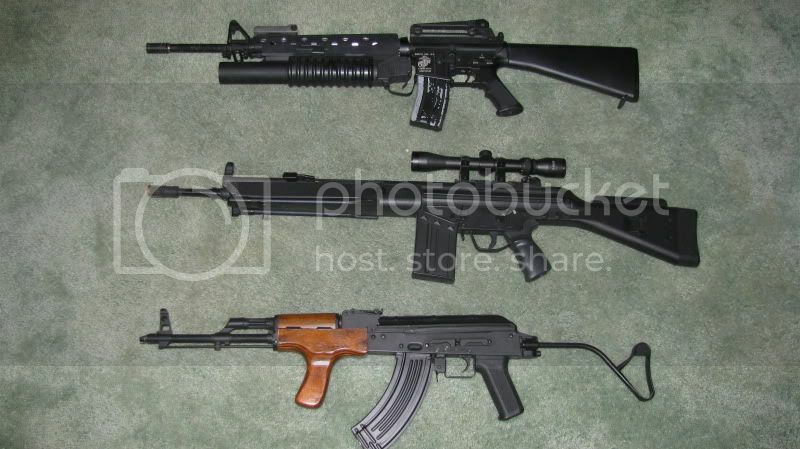 Airsoft Ohio Forums. 24 Apr. 2008. 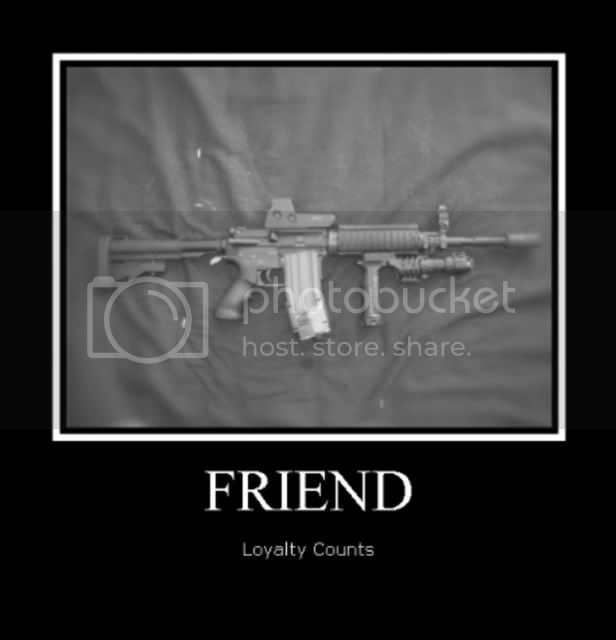 <http://www.airsoftohio.com/forums/showthread.php?t=16546&page=6>. Last edited by Cut Throat; 02-09-2010 at 08:45 AM. lawls mavrick, thats pretty good. Most of you have seen two of my babies already, but here's another taste. how durable is that Multicam coating Darkstar? 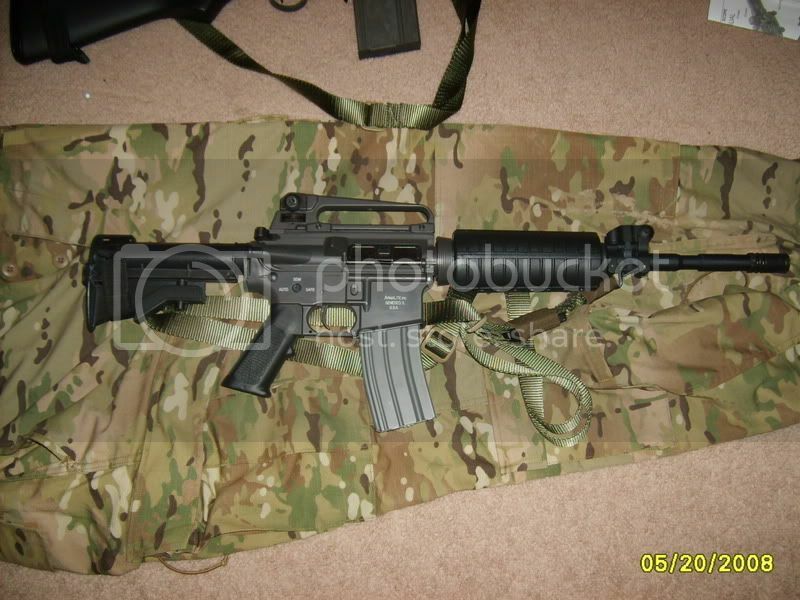 Classic Army Sportline M15A4 carbine. I'm happy with the way both guns shoot atm. 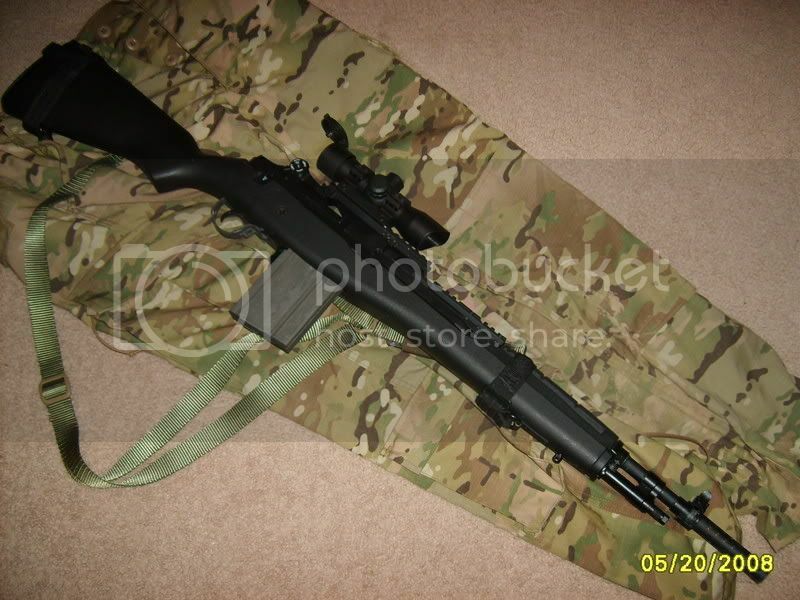 The M14 is shooting a decent ROF with an 8.4 and has good range and accuracy. The Sportline is... well a good secondary AEG. 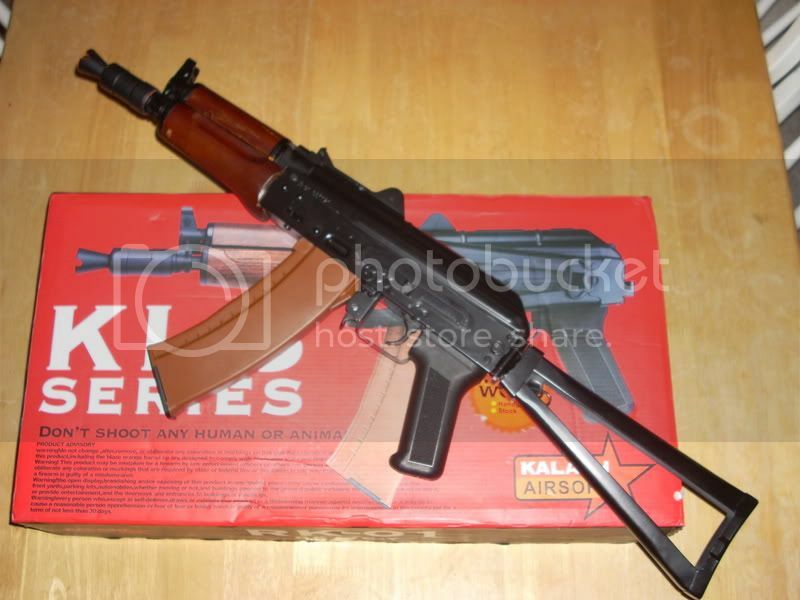 I bought it primarily because it's more suited to CQB situations then the 14, despite it's firerate. Last edited by TRDrew; 05-20-2008 at 07:46 PM. Im pretty sure he dipped his. Therefore it is prolly as durable if not more durrable than a powder coating since they both use a process similar to electroplating. Whats inside? Marshmellows and happiness. 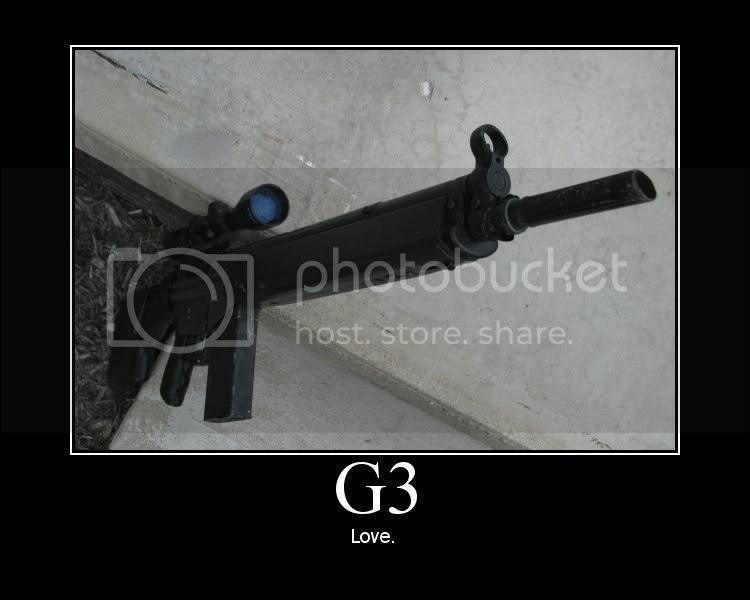 3-9x Fog proof Pellet gun scope. Dynamatted and foamed body for sound suppression. Making the suppressor at work. Bottom is my 2 week old Echo1 AUG. 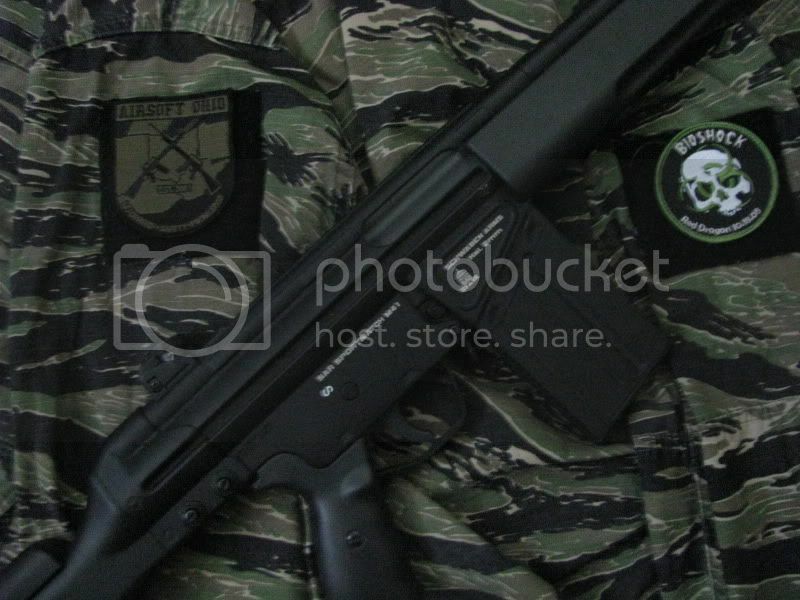 In that picture only the inner barrel and hop-up rubber are upgraded. Madbull tightbore and promy hop-up sleeve with H-hop bucking. Soon to have a JBU upper kit and 6.01 Barrel. Not yet chronoed. 3x shotgun scope. I just like the AUGs better without the flash hider. Last edited by DemonicUnicorn2; 06-30-2008 at 09:01 PM.